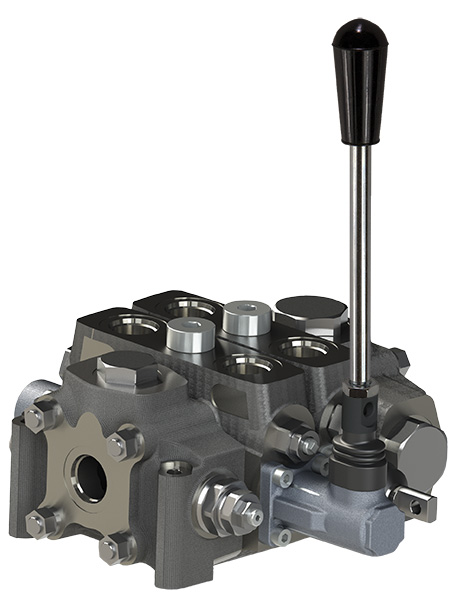 The V250 brings higher pressure capabilities to Muncie Power’s valve lineup. With high-grade iron castings and hard chrome and nickel-plated spools, the V250 is created to withstand those extreme applications you encounter and resist wear to keep your product running longer. Higher flow rates of up to 75 GPM and low pressure drops are advantages you'll see resulting from the V250’s internal core design. In addition, with its tight tolerances and precision machining internal spool leakages are kept low. The V250's versatile design lends well to many configurations to meet your needs. Different spool, control, positioner and accessory options allow for your customization. Each work section is pre-assembled and 100 percent tested prior to shipment for your satisfaction.